Accidents occur every day in Oklahoma. They, unfortunately, happen to those who are not at fault or share little blame. They can happen just about anywhere in Tulsa, including at work, at your child’s school, and even at someone’s home. If a driver is texting while driving and runs into your vehicle, you did not cause this accident. Medical bills, vehicle repair bills, lost wages due to missing work - these are not burdens you should bear if someone else caused an accident. Wagner Stuart has served Tulsa, OK area residents in matters of car accidents, motorcycle crashes, truck rollovers, bicycle accidents, pedestrian-vehicle collisions, construction site accidents and those caused by a drunk driver. You may also have been falsely accused of causing an accident, and need to defend yourself against an accident claim. We have successfully handled cases for both plaintiffs and defendants. Isn’t your injury enough of a burden? We work with you to understand your situation, but one of the keys to your success is our grasp of the legal climate. 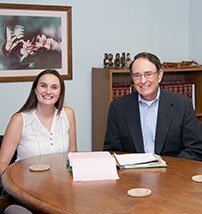 Our attorneys know which laws, rules and regulations apply to your case in addition to the impact of insurance coverage or a lack of insurance. Knowing the people across the counties where accidents occur improves outcomes of cases should they come before the jury. We have built relationships with judges and courthouse personnel, creating an expeditious path for your case to navigate the legal system. Through the relationships we’ve built and a firm comprehension of Oklahoma accident laws, Wagner Stuart has a proven record of success for plaintiffs and defendants. Your case goes beyond defendant and plaintiff. The complexities of defending or filing an accident claim include more than your word against theirs. We have amassed a network of experts and consultants who may be important to a case, which enables us to determine which are most likely to be effective and relevant to your situation. If you’re facing an accident claim or have suffered at the wrongdoing or negligence of someone else, you need an experienced accident lawyer on your side. Contact an attorney at Wagner Stuart today and tell them your story. You may be entitled to a settlement that could improve your ability to pay medical bills, automotive repair bills and any other needs related to your accident.